Spray paint is magical, isn’t it? As much as I dislike to use it sometimes (because of the smell), it’s one of those products that can take the ugliest thing and make it look like it jumped off the pages of HGTV magazine. 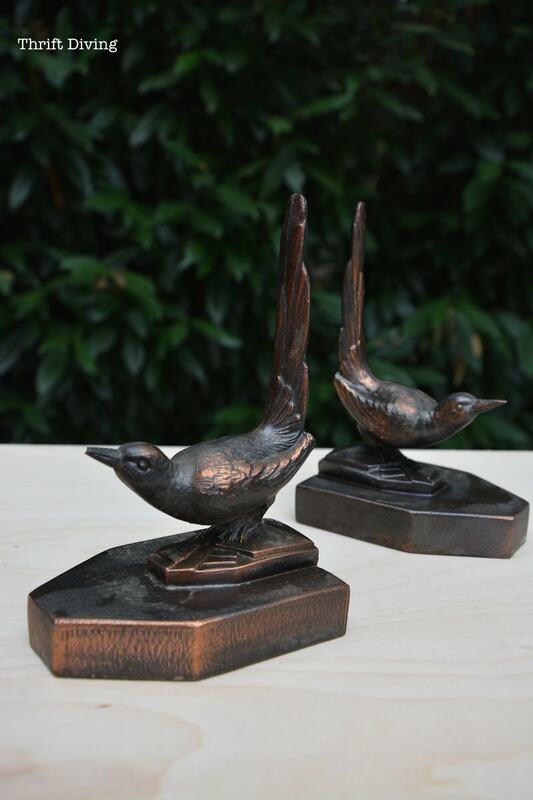 In this case, however, these little bronze bird bookends weren’t ugly–they were cute as heck! 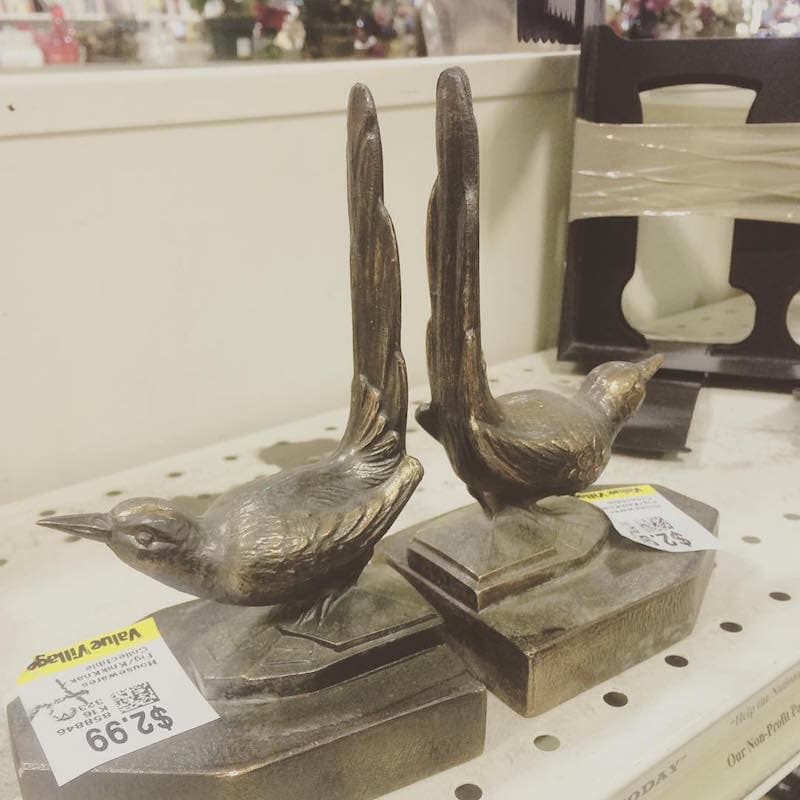 I spotted them at the thrift store recently and knew the were coming home with me! And for $2.99 on a discount day, I pounced on them! But I’m not a “bronzy” kind of chick, and as cute as they were, I knew that a quick “pssssh, pssssh, psssh” from my left over spray paint from my painted door mat would be perfect! Here’s what they looked like before painting them. This was the only spray paint I had on hand (the paint left over from my pretty painted Welcome mat). You probably remember them from my 9-year-old son’s mid-century modern dresser makeover I showed you the other day. My son is an avid reader. I’m talking book-in-hand 24/7 if he could. In fact, he used to get in trouble in first grade for taking out his books and reading in class while in class while his teacher was talking. HA! 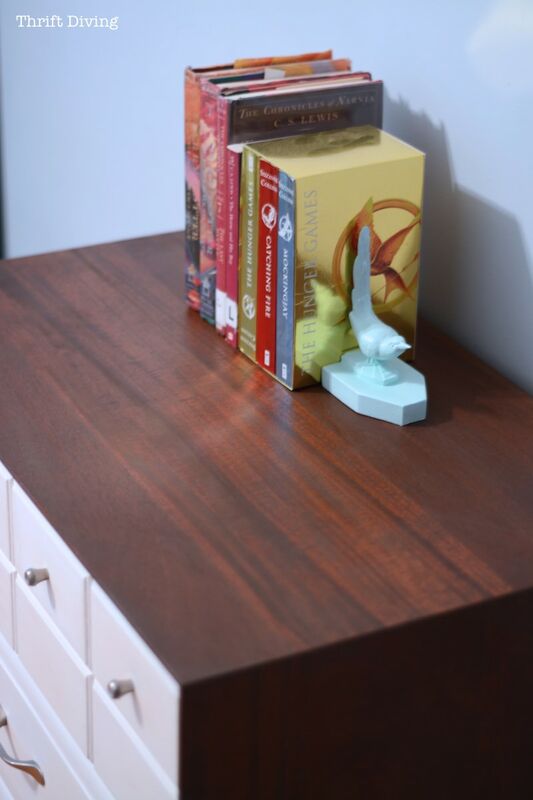 I plan to put some book shelves up in his new room soon, but right now, he can stash his books on top of his new dresser with these book ends. I almost regret painting them, though. It wasn’t until I looked at that “BEFORE” shot that I saw how pretty they really were with their patina. …..Or it could have just been my mad photography skillz that made them look better than they really looked. HA! They were only $6.00, plus a discount. So tell me, what do you guys like to spray paint? And have you ever painted anything that you later kind wish you hadn’t? I am so happy you posted this! 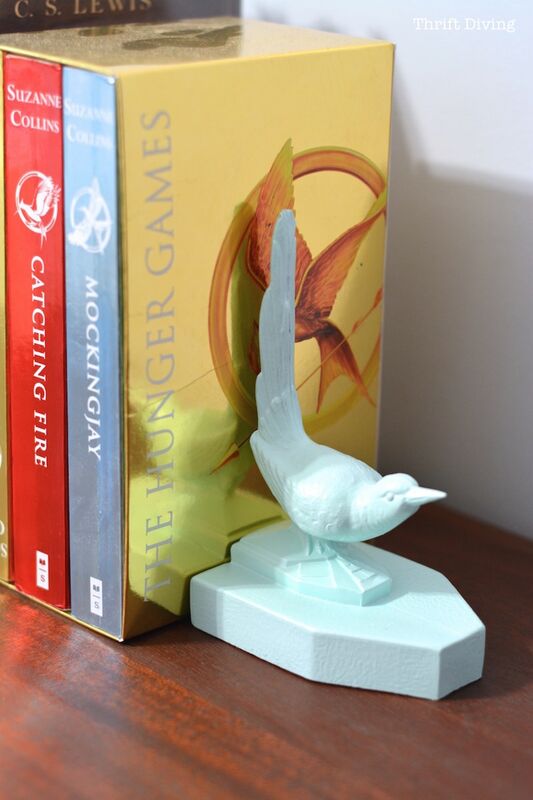 The birdie bookends are so pretty now. And of course, I knew before I looked that was the color you would use. LOL!!! 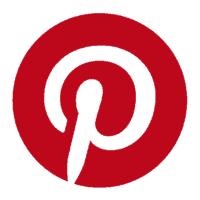 There are two reasons that I’m so happy, other than loving your posts and ideas and results. 1. Just yesterday I was wondering how well some brass pieces that I intend to paint would really turn out. Now, I know. GREAT! 2. 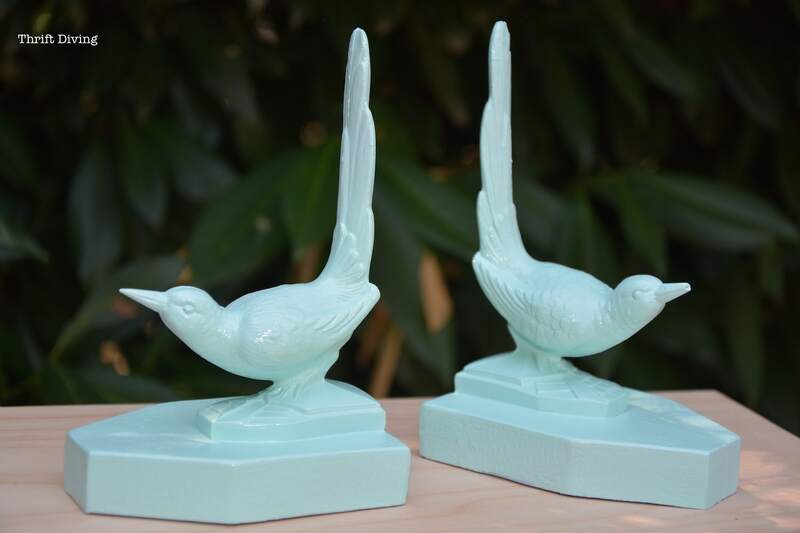 When you said “One of the easiest ways to transform something is with a can of spray paint.” I immediately remembered one of my great uncles who would get a whim now and then to grab a can of silver or gold paint and spray my great aunt’s knick knacks. That brings back memories, One Christmas, Mom had gotten tired of the scratches on our ornaments.. They did look rather tired and old. We were hosting the family get together that year. Dad found some metallic gold spray paint and some white Styrofoam balls. We fashioned hooks for the white balls and spray painted all (except a couple of my favorite Santa ornaments that I hid). We had a gold and white tree that year. It turned out great… of course that would have to have an upgrade for this materialistic day and age. Wow, Kelli really scored some paint, what a money saver. I haven’t purchased any of the maxx paint but sure will. I have Mr.Furry paint anything I can with spray paint, love the coverage and the finish along with short time of painting. Have arthritis hands so hard for me to spray. So sorry to hear one of birds got broken, they are really nice birds. That’s boys for ya’. I have 2 boys 16 months apart, youngest one was nicknamed “tasmanian devil” and he was, not a bad kid just so full of being a boy. Used to entertain us all at dinner table. Have two girls, oldest and youngest of four kids. Believe it or not I miss them all being young, now “kids” are: in early July to be 58, oldest boy 55, youngest son 54 and youngest girl is 48. Two youngest live in Grand Junction area and two oldest live in San Diego. Want to commend you for all your hard work getting all the yard makeovers on video, fantastic. I don’t regret any spray paint projects, I don’t think? I do regret sometimes rushing the coverage 🙁 it made for a couple of boo boos….. I have spray painted everything from plant stands and pots to an old plastic file case (funky green inside & cool dark blue outside) that is now my sewing case! Tin cans and even several baskets that I loved the shape but were not in good shape. As you said, it is fast and easy and I can know I completed something when another project is taking waaaaay longer than it should have, I am on a big learning curve here, so that happens a lot……. These are gorgeous! I love them and you should be proud of them but I would keep them off Hometalk as the haters would have a field day! 🙂 Remember? That’s how we met………I won a big prize pack from Krylon last month and so this past weekends finds at yard sales ALL got coats of paint. 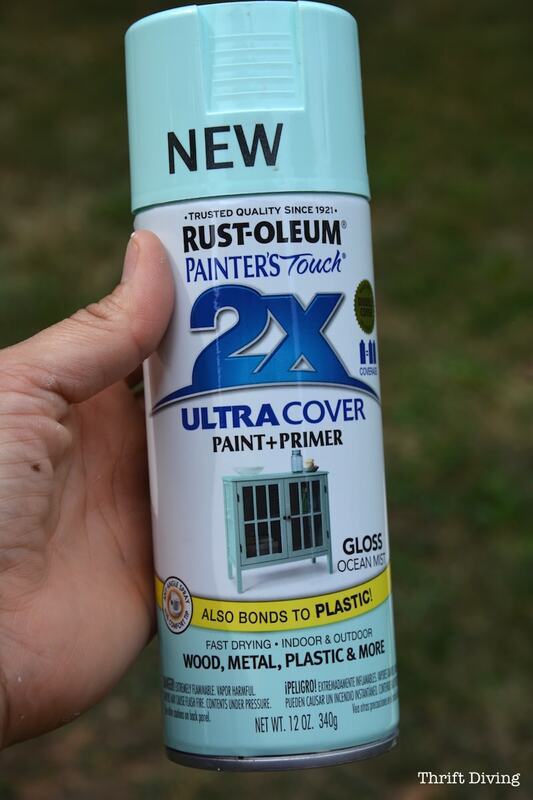 Even those Hair Pin legged patio end tables I bought a few weeks back got some pretty paint…………..you can always take it off! Awesome on the Krylon win! How’d you manage that? I have fallen in love with Spray Paint! It started when I got about 8 cans (along with 16 quarts of other paint!) in a FB marketplace deal for $10!